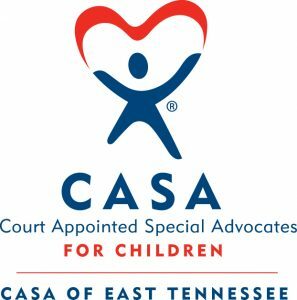 CASA is a community-based program that recruits, trains, and supports citizen-volunteers to advocate for the best interests of abused and neglected children in Knox County. Judges appoint their screed, trained volunteers to advocate on behalf of an abused or neglected child or sibling group so that they do not become lost in an overburdened, confusing system. The volunteer works to discover the child’s best interests, collaborating closely with Knox County Juvenile Court, educators, medical professionals, community organizations, social workers, and relevant government agencies, to find the child a safe, permanent home has quickly as possible.